What an amazing first “Portraits with a Purpose” session we had this past weekend! 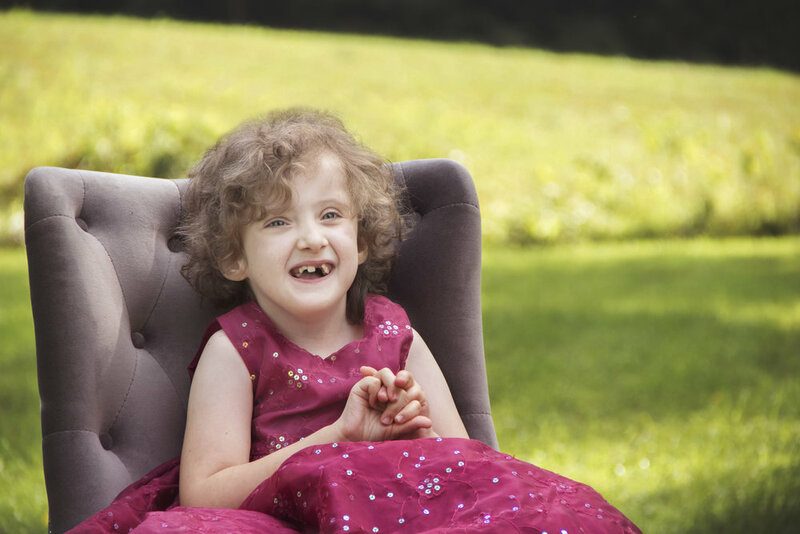 This family loves to get out as much as they can to parks and museums, and wherever else they can take Natalie in her wheelchair. They love to be creative at Halloween with costumes for the whole family. Dad even made the Eiffel Tower one year for their Paris themed family costume. Natalie went as a french baker! The family had to move to a ranch home, install two ramps, and just recently purchased as special van that is handicapped accessible. And I just have to mention that big sister is one amazing girl! 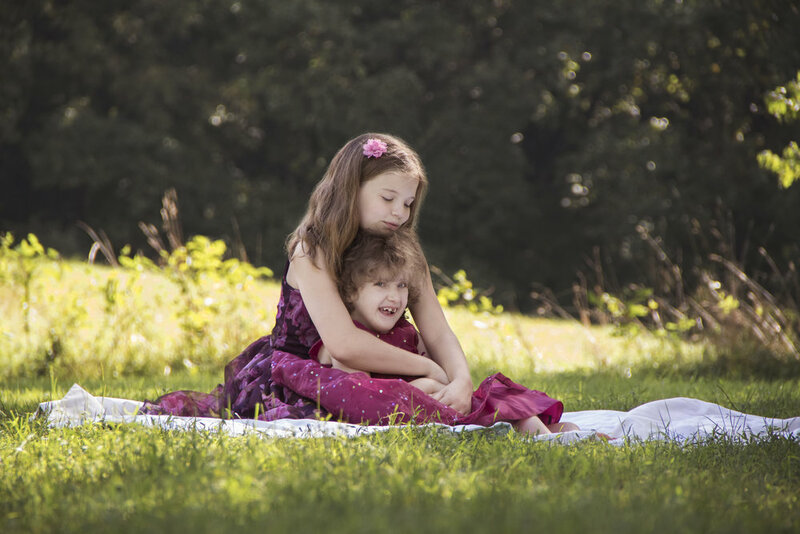 It’s so obvious that she loves her little sister so much, and never complained once about helping out during the session, and at our meetings with the family. This is so inspiring to me. This has been an amazing experience for me so far, and at times tearful (happy tears) but I am so excited to see where this program goes and who the next family will be. Thank you so much to the sponsor family that made this session possible! The receiving family is so grateful and wants to say a big thank you as well! 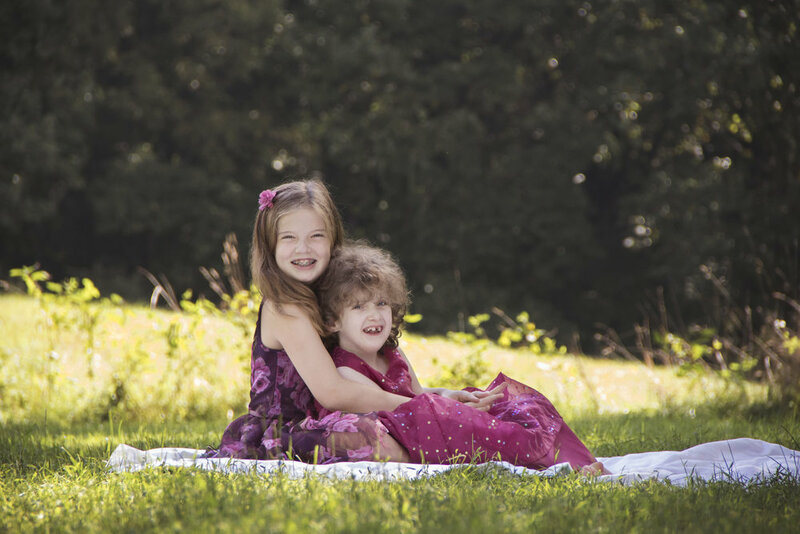 The sponsor family has been my client for a couple of years now, and I love working with them, and their children! Their kids are involved in lots of different activities, so they love spending any time together that they possibly can. They enjoy movie night, game night, hiking and going to the beach together! I absolutely love what I do, and now, it means even more! I can’t wait to continue this program and see where it goes from here! If you know anyone who would benefit from a complimentary session like this, or if you would like to be a regular client of mine and become an automatic sponsor by placing your qualifying order, I would love to hear from you! 302-300-7569 or ana@photosbyexpressios.com Thank you!